What does the San Diego County economy look like for 2018 and beyond? SAN DIEGO (COUNTY NEWS CENTER) — What does the San Diego County economy look like for 2018 and beyond? Watch the video above of the 34rd Annual San Diego County Economic Roundtable to find out. 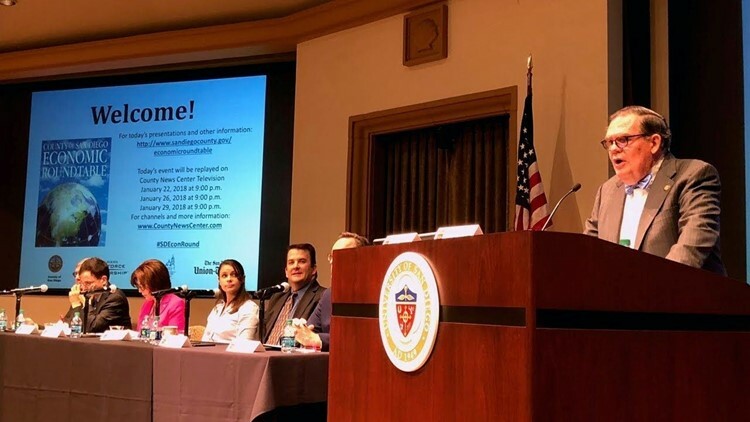 The annual event was held Thursday at the Joan B. Kroc Institute for Peace & Justice at the University of San Diego where a panel of experts discussed the future of the local economy, urban development, the aging population and the region’s growing blue economy.